It’s Time For a New Girl Scout Year! May 31 is the last day for a chance to win! Troops that renew 90 percent of their registered girls and two adults by 4:30 p.m. on Wednesday May 31, will be entered into a drawing to win a Thin Mint cookie costume. The drawing will be held on Thursday, June 1, and FIVE lucky troops will win a costume! Don't miss your chance, Renew today! Spring is coming to a close, and fall will be here before you know it. Make sure to reach out to every fabulous girl in your troop to get them all signed up and ready to go for another year of Girl Scout fun. Renewing now will make your life easier, will help get everyone organized and all set for adventures ahead, and might get your troop a cookie costume! All GSCCC offices and shops will be closed Monday, May 29 in observance of the Memorial Day holiday. The Wards Corner Lions Club, along with the Sertoma Club of Norfolk, and GSCCC are collaborating to serve children in our community at the 3rd Annual Deaf and Hard of Hearing Camp. If you are looking for community service hours, here is a great opportunity to help. Volunteers are needed for this one-day camp to help run craft and game stations. Folding tables and pop-up canopies are also needed for the day. To volunteer or loan equipment contact Angela Sandelier at angcpamba@hotmail.com. Cast your Vote today for the 2018 Cookie Program Rewards! Our 2018 theme is Altogether Awesome! Your opinion matters to us! Vote online to help us decide which girl rewards to offer in the 2018 Cookie Program. You can only vote once before June 15, 2017. Choose carefully! Parents and caregivers, did your girl participate in the 2017 Girl Scout Cookie Program? We'd love to have your feedback and that of your Girl Scout. Troop leaders and service unit volunteers, we need your feedback too! Check your email for a message from eBudde to begin your volunteer survey. This is a great group event for youth to learn about the sport of fishing, interact with caring adults, and have fun with their peers on the pier. Fishing equipment, bait, instructions, t-shirts and lunch will be provided. Space is limited—so register early! This event will happen rain or shine. Advanced registration is required by July 10. To register, contact 757-926-1400. As the school year concludes, it's time to begin planning activities for summer programs! The Virginia Aquarium & Marine Science Center summer schedule has been released, and we are now accepting reservations for educational boat excursions! Dolphin Discoveries - observe bottlenose dolphins, Virginia's most common and charismatic marine mammals, during a 90-minute ocean excursion. Besides close-up observations, this program provides discussions about incredible natural dolphin behaviors, the Aquarium's research, and what is being done to conserve and protect the species and its habitat. In response to many years of requests from our members, we are moving a portion of the production of our Girl Scout badges back to the United States. 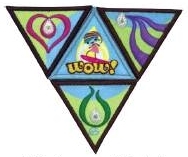 The “made in the USA” effort started in 2014 with Girl Scouts’ official insignia, and we are pleased to announce that all Girl Scout Daisy, Brownie, Junior, and Cadette badges will now be manufactured in the U.S. We worked hard to negotiate prices for these domestically produced badges and to mitigate cost as much as possible. Please be advised that while the cost of the badges will increase as a result of our reshoring efforts, they will do so by only $1 per badge, an increase that councils and members will see reflected in retail beginning July 1. The Wards Corner Lions Club, along with Sertoma Club of Norfolk, and GSCCC are collaborating to serve children in our community at the 3rd Annual Deaf and Hard of Hearing Camp. If you are looking for community service hours, here is a great opportunity to help. Volunteers are needed for this one-day camp to help run craft and game stations. Folding tables and pop-up canopies are also needed for the day. 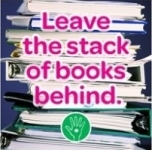 Leave the stack of books behind when you use the Volunteer Toolkit (VTK). Everything you need for your troop is at your fingertips with a smartphone, tablet, or laptop. Utilize the VTK and have access to your troop roster, your year plan, your meeting plans, as well as the ability to communicate with your parents and caregivers to keep them informed of what’s happening next in the troop. Sign in today and see how the VTK can be your best resource. The GSCCC Canoeing Course is now replacing the ARC Small Craft Safety Course. Participants will learn and demonstrate the basic skills necessary to facilitate and take Girl Scouts canoeing on flat-water. Learn the parts of a canoe, parts of the paddle, proper ways to carry a canoe, strokes to maneuver around ponds or lakes, rescue techniques, and how to teach it all to the girls. Prerequisite: Participants must be able to swim and tread water for up to 10 minutes. Explore Norfolk Southern: $1.50 each. 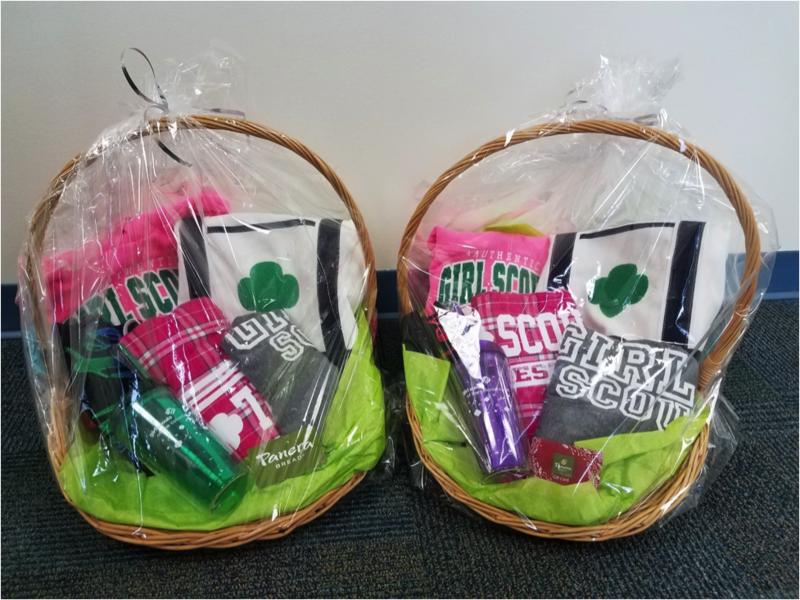 Troops that early renew 90 percent of their registered girls and two adults by 4:30 p.m. on Monday, May 15 will be entered into a drawing to win two gift baskets for the leaders of that troop. Hurry! Renew today! Troops that meet the above criteria are eligible. The drawing will be held on Tuesday, May 16, and two lucky troop leaders will receive a gift. Girls who renew by May 15 will get a FREE Power of G.I.R.L. patch! Looking for some fun things to do before the end of your troop year? Check out these great Council programs/events. There are only a few spots left so act quickly—registrations close this week! May 19, 2017, 6:15 p.m.
$12 for the game (includes event patch, hot dog, and soda). Game tickets can be purchased by emailing hmckeating@norfolktides.com or by calling 757-622-2222 ext. 121 or 106. All must pay to attend. May 21, 2017, 1–2:30 p.m. The GAB (Girls Advisory Board) is hosting an ice cream social. This meeting is to recruit new girls that want to be involved in providing ideas and planning Council events for girls just like you. Join us and meet the girls that are currently on the board and hear from them. Your voice counts and we are looking for you to join us. Register by May 15 by emailing donnaf@gsccc.org. May 27, 2017, 8 a.m.–12 p.m.
$2 per girl (includes event patch). Workshop 1: 10 a.m.–12 p.m.
Grades: 9–12, adults are welcome to pay and participate. *Modified program is available for evening, weekday troop meetings upon request. 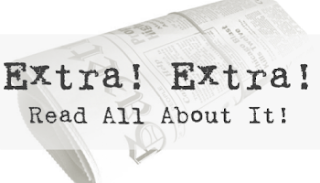 Have you always wanted to be published but don’t know where to start? Blue Dragon Publishing will walk you through the steps and get you on your way with the “Road to Publishing.” Think about being able to put “published author” on your college application! Having trouble getting your book finished? Stick around for “Where do ideas come from?” where an author will provide you with tools to get your creative juices flowing—and keep them flowing. Our Early Birds are extra special for showing their commitment to another year of Girl Scouts. These extra special troops, those that early renew 90 percent of their registered girls and two adults by 4:30 p.m., May 15 will be entered into a drawing to win 2 gift baskets for the leaders of the troop. Hurry! Renew your troop today! This offer only lasts until May 15. The drawing will be held on Tuesday, May 16 and two lucky troop leaders will receive a gift basket. May 15 is right around the corner - Girls who renew by May 15 will get a FREE Power of G.I.R.L. patch! Join us at the May 8 Spring Town Hall meeting in Virginia Beach to converse with Council staff, meet other volunteers and share your thoughts and ideas. RSVP in advance to indicate that you will be attending. RSVP online and provide input for the agenda. Girl Scouts of all ages are invited (no tagalongs) to an event hosted by Girl Scout Junior Troop 310. As part of the Girl Scout Bronze Award project, they will hold an Animal Care workshop on Friday, May 19 from 6:30 to 8 p.m. at the Greenbrier Middle School on Greenbrier Parkway in Chesapeake. The cost is a donation of a clean sweat shirt and $7 to help cover the cost of supplies. Girls will make and donate the following items to the Portsmouth Humane Society: dog or cat bed, dog biscuit, dog or cat toys and cat scratch box. Registration deadline is May 12. Troop checks or cash will be accepted, made payable to Troop 310. Mail to: 813 Windsor Point, Chesapeake, VA 23320. For questions, contact Mara at 757-639-5477. Parents may be asked to attend to meet safety ratios and help if needed. Hearing about current events can be unsettling for kids, and navigating friendships and the social landscape at school can also be tough. And because girls often seek support from troop leaders and other Girl Scout volunteers when they’re having a hard time, GSUSA put together a series of timely resource guides to help volunteers lead difficult conversations with confidence. Learn more at the GSUSA website. Early renewal is here! Have you registered your troop for another great year? After you have renewed your troop’s membership through “MY GS” on our website, set aside a meeting to start planning the coming year with your girls by signing into the Volunteer Toolkit. As you plan for the next Girl Scout year, the girls will be excited and anxious to start Girl Scouts again because they helped plan their new year. EVENT UPDATE: The Town Hall meeting scheduled for May 3 in Elizabeth City, North Carolina has been canceled. Join us at the Spring Town Hall meetings to converse with Council staff, meet other volunteers and share your thoughts and ideas. All volunteers are invited to attend the Town Hall meeting that is convenient for you. RSVP in advance to indicate which meeting you will attend. All meeting times are 6:30–8 p.m.
Plus, sign up for Girl Scouts or Boy Scouts on site! View event flier for more information. Contact Mei Stukes at mstukes@cox.net for information about Boy Scouts, Cub Scouts, Venture Crew, Sea Scouts and Explorers. Contact Kim Lincoln at kiml@gsccc.org for information about Girl Scouts. Bridging kits are a great way for leaders to begin preparing for upcoming ceremonies. Each kit has the basic essentials inside a 9x12 inch white envelope. Visit the shops for complete details and get your kits today. Want a great way to start off your summer? Bring your troop or group to Ocean Breeze for Girl Scout Weekend on June 10 and 11 at a discounted price of $15.99 per person! That's $19 off the regular price. Get details and register at the Ocean Breeze website. For questions, call 757-422-4444 ext. 229 or email groupsales@oceanbreezewaterpark.com.